West German society faced the emergence of a new calibre of right-wing terrorism in the 1970s. Right-wing terrorist groups evolved that showed themselves willing and able to commit violent attacks such as bombings and murder. This article explores the genesis and development of right-wing terrorism in West Germany between 1970 and 1980 while examining 22 identifiable groups and lone actors and taking into consideration the radicalization within the far right as well as the prevailing social conditions. West German right-wing terrorism until 1990 has remained a blind spot in historiography to this day. This article contributes to historical terrorism studies as well as to studies into the far right while applying historical-qualitative methods and interpreting primary sources. 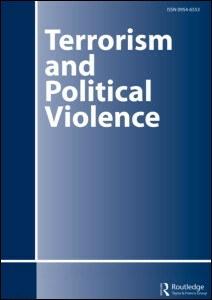 Using an approach informed by social history, this paper sheds new light on the individual participants, groups, and networks of right-wing terrorism as well as on its topics and targets. While taking into account a more dynamic definition of right-wing terrorism, this paper disengages from definitions that identify terrorism solely as a threat to the state itself. This makes possible a multidimensional approach employing contemporary history and studies in both terrorism and right-wing extremism.